THE LIBRARY AT CEDAR CREEK LAKE offers a variety of services and materials to meet your business, personal, educational, and recreational needs. Our service-oriented staff strives to make the information in books and other library resources accessible to you. Please let us know if you require additional information about the Library’s policies or procedures. The Library at Cedar Creek Lake is an independent non-profit (501c3) public library supported primarily by small private donations by individuals like you. 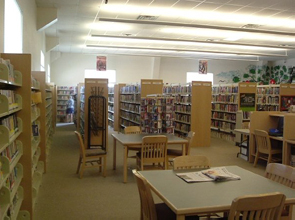 The library is not a city or county facility. The library is a fully accredited full service library and is a member of the Texas State Library System. Providing a forum to enjoy and appreciate cultural events, performances, etc. Working with Best Friends, Literacy Council, Kiwanis, Rotary and the Optimists Clubs and other civic organizations to promote reading, learning and cultural and intellectual developments and maintaining up to date technology.